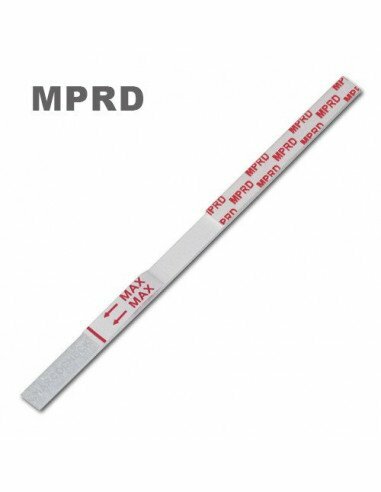 The NarcoCheck® MPRD rapid test strip is an immunoassay for fast the detection of meperidine use in human urine. Meperidine, also called pethidine, and better known by its trade names Demerol® and Dolantine®, is an opioid analgesic painkiller used to relieve moderate to severe pain. Meperidine is administered in the form of hydrochloride salt tablets, but also in the form of syrup or by intramuscular, subcutaneous or intravenous injection. Meperidine can lead to a strong addiction. 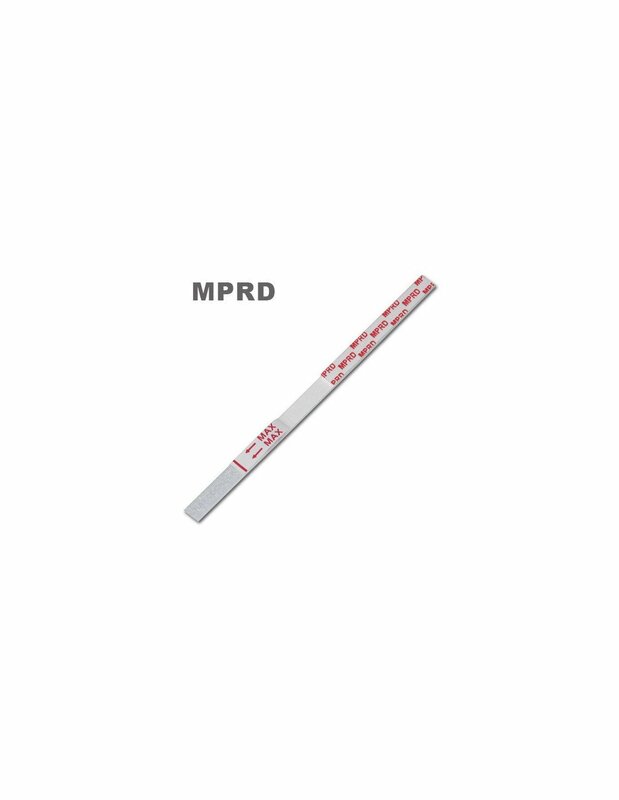 This urine screening test can help to ensure that meperidine intake has stopped. Indeed, the high addictive potential of meperidine leads a number of patients to have great difficulty in interrupting the use of this painkiller after the end of treatment.